have mercy: Day 19: Look at it go! Day 19: Look at it go! 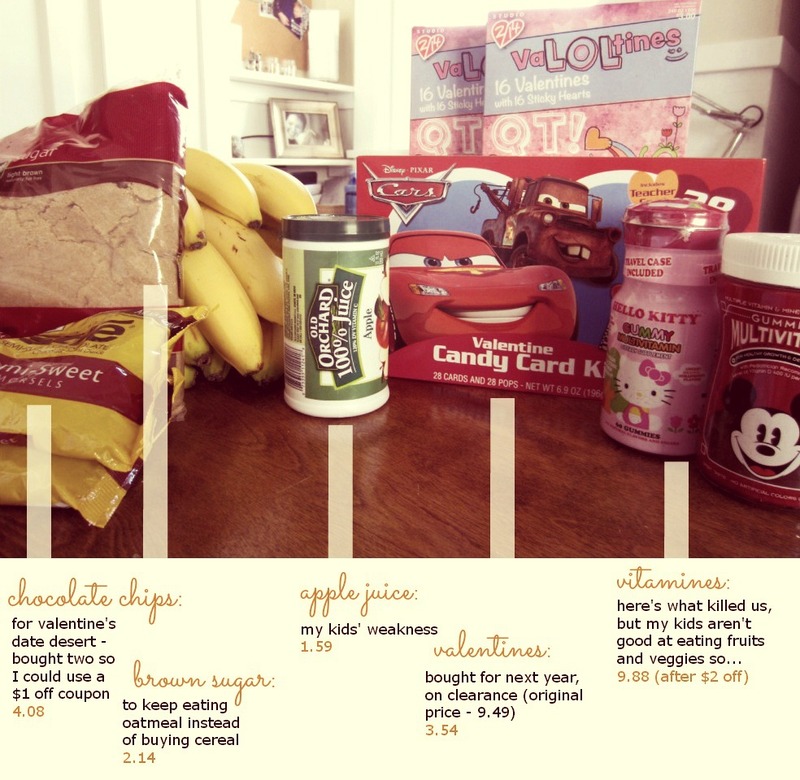 Here's how awesome we're looking right now, thanks to my Trader Joe's and Target run this morning. Trader Joe's was just because bananas were .19 instead of .57 at Target. No extravagant hummus today! So we are house-bound and broke until Friday. But we may not need it either. Hopefully. I will admit, it was all I could do to resist when the kids asked to go to Taco Inn today. The three of us can eat there for five dollars and I usually take them when Brian's out of town to give myself a break. However, this is a two-day trip and we are No Spending after all. 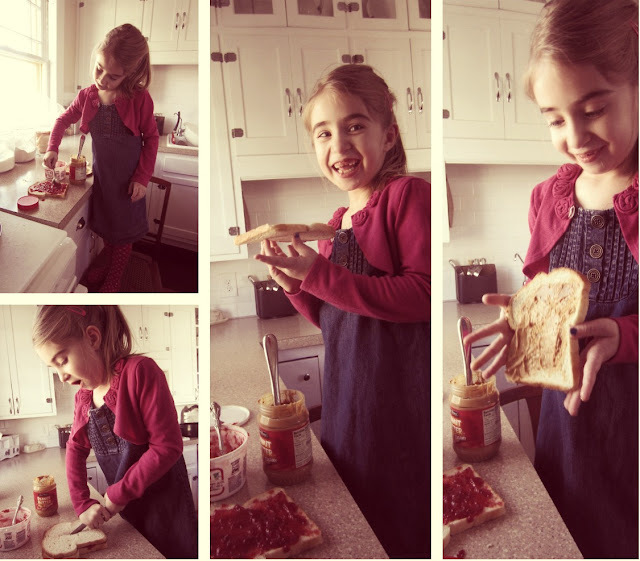 I ponied up and came home for lunch only to find that my growing kids wanted to make their own sandwiches. So I got a break anyway.